General Practice provides comprehensive primary, community-based and continuing patient-centred health care to patients enrolled with them and others who consult. 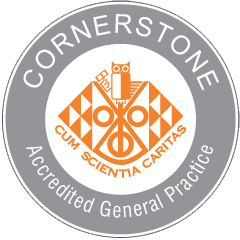 General Practice services include the diagnosis, management and treatment of health conditions, continuity of health care throughout the lifespan, health promotion, prevention, screening and referral to hospital and specialists. Enrolling with a Primary Health Organisation – What is a PHO? Primary Health Organisations are the local structures for delivering and co-ordinating primary health care services. PHO’s bring together Doctors, Nurses and other health professionals (such as Maori health workers, health promoters, dietitians, pharmacists, physiotherapists, mental health workers and midwives) in the community to serve the needs of their enrolled populations. PHO’s receive a set amount of funding from the government to ensure the provision of a range of health services, including visits to the Doctor. Funding is based on the people enrolled with the PHO and their characteristics (e.g. age, gender and ethnicity.) Funding also pays for services that help people stay healthy and services that reach out to groups in the community who are missing out on health services or who have poor health. Can I enrol with two PHO’s? No. You should enrol with the service you use most often. You can still visit other primary health care professionals but there are benefits when you get most of your health care from your usual doctor, nurse or health service. Can I see another doctor or primary health care professional who doesn’t belong to my Primary Health Organisation? What happens if I go to another General Practice? You can go to another General Practice or change to a new General Practice at any time. If you are enrolled in a PHO through one General Practice and visit another Practice as a casual patient you will pay a higher fee for that visit. So if you have more than one General Practice you should consider enrolling with the Practice you visit most often. Can I enrol my children? Yes, you can enrol any children in your care if they are 16years of age or under. Ask at the reception to find out what you need to do. Can I enrol other members of my family or whanau? No, if they are over the age of 16 they need to enrol themselves, unless you have Power of Attorney or you are their authorised representative. You can take enrolment forms and information home for other adult family members. Ask at the reception to find out what you need to do. Will I still need to pay to see my GP or nurse? You will still have to pay to see your GP or nurse in most areas. In the areas where there are higher numbers of people with poorer health, some PHO’s may be able to offer reduced fees, or even free care, immediately. All PHO health services will display their standard charges. If you have any questions about the health services provided or the cost, ask at reception. If I enrol, will I still be able to use my Community Services Card (CSC)? Yes, you can still use your CSC for all the same services. Some people enrolled with PHO’s may soon find they do not need their CSC to get low-cost health care, but hold on to it in case, for example you are out of town and need to see a Dr or need to attend AFTERHOURS care. What happens to my enrolment information? When you enrol, the PHO will use the information collected from you to build an enrolment register. This register is sent to the Ministry of Health where your information will remain confidential. whether you are a NZ resident or not. If you are eligible for NZ health services, you can enrol. this residency information updates your NHI information for broader health funding purposes. the date of your enrolment and the date you last visited your doctor or nurse. The reason for your visit will not be sent to the Ministry of Health. What is the National Health Index (NHI)? Why is the National Health Index number used? It helps to avoid the health information of people with the same name or with similar names getting mixed up. It allows health professionals involved in your care to share health information without using your name and address. This protects your privacy. Who can read my NHI information? Only health agencies that are involved in providing health services can read and use your NHI information. The NZ Health information Service is part of the Ministry of Health, manages and maintains the NHI under the guidance of the Health Information Privacy Code 1994. What happens to my health information? When you enrol with a PHO your health information will still be kept with your health service or doctor. To ensure you get the best possible care, your GP or nurse may send some of your health information to other health professionals who are directly involved with your care. Why do you want to know about my ethnicity? For a number of reasons some ethnic groups have poorer health than others and are missing out on health care. PHO’s need to know the ethnic group of people enrolled with them so that services can be arranged to meet their needs. Can I see my enrolment details and medical notes to check and change, if necessary, the information held about me? Yes – ask about this at reception. All of your enrolment and health information will be collected and stored and used under the guidance of the Privacy Act 1993 and the Health Information Privacy Code 1994. What is the Health Information Privacy Code 1994? This code was prepared by the privacy Commissioner in 1994 to ensure that your privacy is protected. The code is enforceable by law. Copies of the Health Information Privacy Code Fact Sheets can be obtained from the Privacy Commissioner, PO Box 466, Auckland. Ph 0800803909. You have rights when you receive health or disability services whether you pay for them or not. If you would like to find out more about your rights, or you have any complaint about the care you receive, contact your local advisory service and Health and Disability Commissioner by phoning: 0800112233. Primary Health Organisations are not allowed to refuse to enrol you because you have poor health or require more health care. If you feel you have been unfairly refused enrolment, contact your local District Health Board. All PHO enrolments must comply with the Human Rights Act 1993.